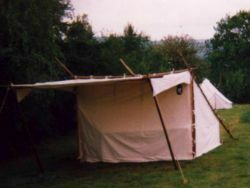 The trapperlodge is a historical tent of the pioneer era of North America. We offer different designs and measurements. 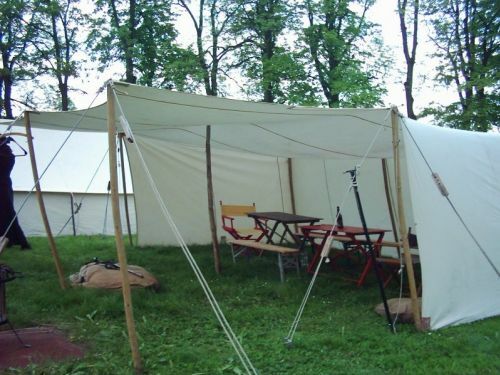 Our standard measurments are 2,50 m x 3,00 m with a front height of 2,10 m. The tent consists of blended fabric (50 % cotton/50 % polyester) besides it´s hydrophobic and impregnated against rottenness.